Since time immemorial, you have often questioned your writing skills and how you could make your writing better, money-oriented and error-free? Most of the times, you have overindulged in the comfort of using less sophisticated tools to pen down your distractions, artistic fervors, technical know-how, fiery debates and much more. Though, in this process you often oversee the power of applications, built specifically for the purpose of saving ‘your’ time and effort, and improving the quality of ‘your’ work. Many writers, like yourself are often left at crossroads when deciding, whether or not you should trust a tool or an app, to publish your work, to judge your content’s grammar or spelling accuracy, to organize your time or to do your research for you. One can truly undermine the creative prowess of such Apps for writers, because all of the above are actually possible, and adopted by a multitude of writers to get their creative juices flowing. These cater to the needs of novelists, bloggers, technical writers, screenwriters, poets etc. So, when you’ve got heaps to do and its crunch time, you can always rely on various Apps for writers that come through as champions at the eleventh hour. These help you make good time, and save you from the hassle of correcting unnecessary editing, proofing and formatting glitches. To weave you into the world of these amazing Apps for writers we have put together stupendously creative applications that will support your writing skills, and make you write like a professional in no time. 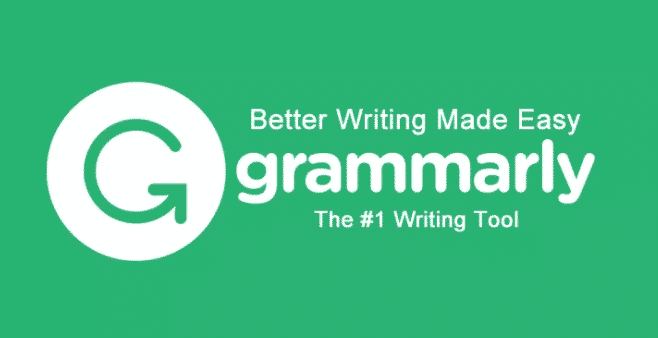 Grammarly is a very popular online grammar checking, spell checking and plagiarism detection platform, that provides proofreading resources against more than 250 grammar rules. Out of Apps for writers, this particular app creates a fix for various writing issues that consumes time for most writers. It assists in checking grammar, spelling and punctuation errors, inconsistent writing styles, unclear sentence structure, overused words, ineffective vocabulary, wordiness, impoliteness, inappropriate tone and hedging language. As amusing as it reads, the Artificial Intelligence Grammarly uses is the next best thing that could happen to a writer. Also, it has flexibility to integrate with your browser and has an add-in to MS Word and Google docs, ensuring all your emails, social media posts, blog posts, articles and reports are error free. It also provides recommendations to avoid passive voice, use alternative words, or shorter sentences for better readability and high-quality content. Apps for writers often don’t go into such detail, but this one is definitely a keeper. I have written a detaield review of Grammarly, you may check her​e​ if you have time. Ginger software is good alternative to above tool ( Grammarly ). The software helps to correct the spelling and also grammatical errors while you can focus on the flow of writing. Other than that, it has a Translator, Dictionary and many other tools which are very handy. Recommended for a writer who doesn't consider english herself/himself as primary language. It helps you translate documents written in French, Spanish, german...etc into english. If you’re an individual who has to deal with a lot of research and development and create various reports, analytical research papers, curated content, newsletters, etc. Airstory is the application for you! This perfect App caters as a useful tool for non-fiction writers who like to capture research and cite it, without having to deal with the hassle of copy pasting quotes, statistics, images etc. When you’re working, and come across an interesting piece of research, you can clip it into your Airstory library and tag it. The note, when dragged on to your writing space, automatically merges with the source URL, so you can cite your references formally, with ease. Also, if you’d like to add more information to your writing, you can always add one or more notes to enhance your work and keep it up to date. Even though the workability of this App is similar to a few Apps for writers like Evernote, it is a lot faster and streamlined. 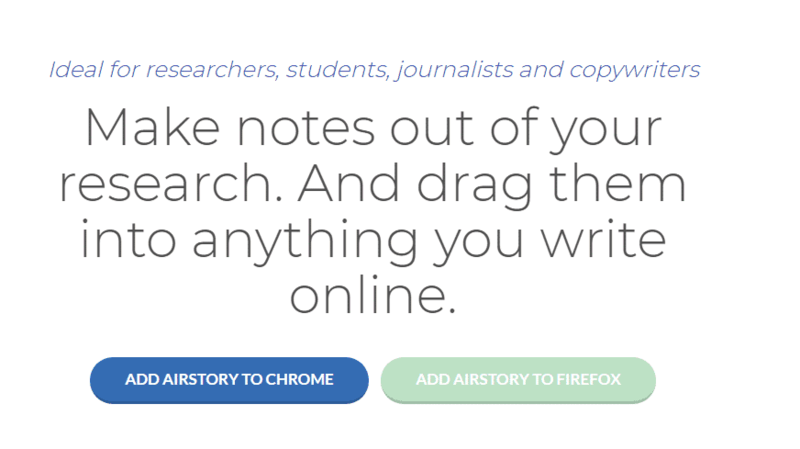 Moreover, Airstory has a free web-clipper for chrome or Firefox, so just in case you’re still considering citing your own research, remember, a stitch in time saves nine! If you’re working against the clock and can’t manage to fight the temptation of social medial, video games, online shopping etc. then Freedom is the perfect app made to get you focused, committed and productive in a way you couldn’t possibly imagine. It cuts out all the drama that costs your productivity unnecessary distractions and limitations, and quickly makes you regain your focus. Users have reported an average daily gain of 2.5 hours of productive time, unlike other Apps for writers. This App is by far the most disciplined, as it blocks out what you want, whenever you want. You can start the block session on-the-fly, or even schedule a block in advance when you know you want to start writing. You can plan out sessions that recur daily or weekly for creating healthier habits and being more productive. Whether you’re a Mac, Windows, Android or an iOS user, you can sync your blocks against all devices, knowing for sure that distractions are far and wide form your reach. Apps for writers that have enhanced readability and increased workability, like Readable are few to none. Often when you struggle to make sure if your written word is legible and resonates with others, Readable acts like a text analyzer that gives you the assurance that all is indeed well. So need to have your nose in the book and worry about letter, word or syllable counts, as its powerful readability algorithms do it all for you. Readable also checks the use of adjectives, nouns and adverbs, and gives you text analytics and statistics where needed. As it is SEO optimized, keyword density is kept a tab on, and sentence length suggested to be shorter if crossing the threshold of an unbearably jarring sentence. Unlike other Apps for writers, this App rates your text’s overall readability, and scores its reading level, on a number of scales, such as the Flesch-Kincaid Grade Level and the Gunning Fog index. Google Docs is a one of the most widely used applications that help create meaningful and persuasive documents wherever you are. It allows you to access documents, edit text and collaborate with others to work on the same document all at once. This gives your team and you, the benefit of making edits, additions and modifications on your documents in real-time, with ease. Also, all changes are saved automatically as you type, which creates an environment of dependability and reliability. Moreover, old versions of the documents can be accessed via revision history to see when they were modified and by whom. Several Apps for writers have been scrutinized for workability, but Google Docs is by far one of the best. The application has comprehensive smart editing and styling tools, that allows you to easily format text and images. 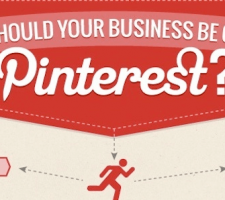 You have the liberty of choosing various fonts, images, design layouts, smart graphics etc. and get a kickstart on writing reports, letters, or emails etc. by using various templates. Now, anyone who works as a full freelancer must have an agenda. The obligations and heavy workloads mean that you need tools and apps that allow you to keep track of each activities. Evernote is a software that helps a lot to accomplish these. Nothing gets missed with this tool. This apps helps you manage , capture ideas, memories pro and projects, as well as to-do lists. It will also help you write notes, , scan images, attach documents and take voice memos. From a single place, organize both big projects and personal moments , access it on any device ( from your computer, tablet, or phone, when offline). If you need to take notes at work or in your daily activities, I recommend EverNote. Related Topic: Freelance writer : 15 Secrets To Becoming Successful. 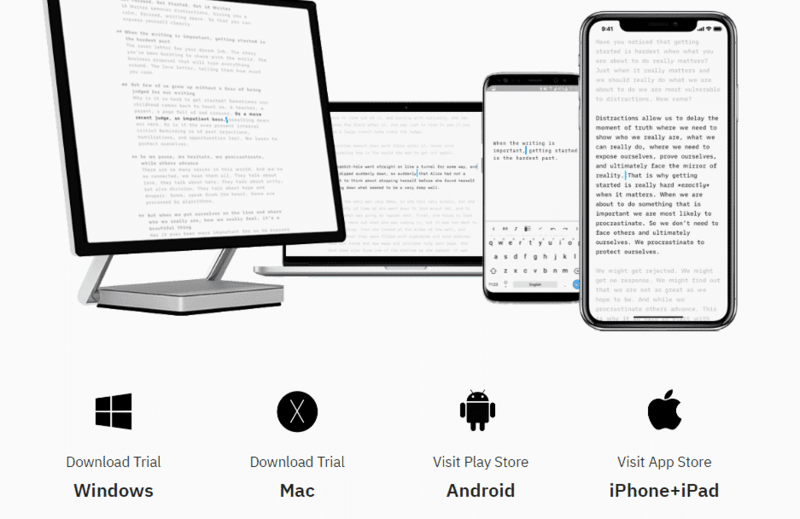 The Hemingway App is an editor that highlights and automatically detects and corrects grammar, sentence structure and fluency in order to help your writing read and look better. This App is brilliant as a means of improving readability. It will create a habit in you to be always more concise and clear. Put in your writing and Hemingway automatically highlights meandering, wordy sentences. Or, you can compose a new piece of text from within the app. Then, It highlights whole sentences that are either hard to read or very hard to read. Then, it’s up to you to do something about that. I see that Hemingway is a great solution before publishing a post. Calmly Writer was designed to assit you focus on your writing. As you are typing, every distracting options will disappear your interface. Calmly includes "focus mode" option, which marks only the paragraphs you are editing at the time. Simply put , this tool is a text editor designed to concentrate on what is in your mind ,with unobtrusive user interface. The tool is a good help to block out all distractions and get to what's meaningless in your writing. 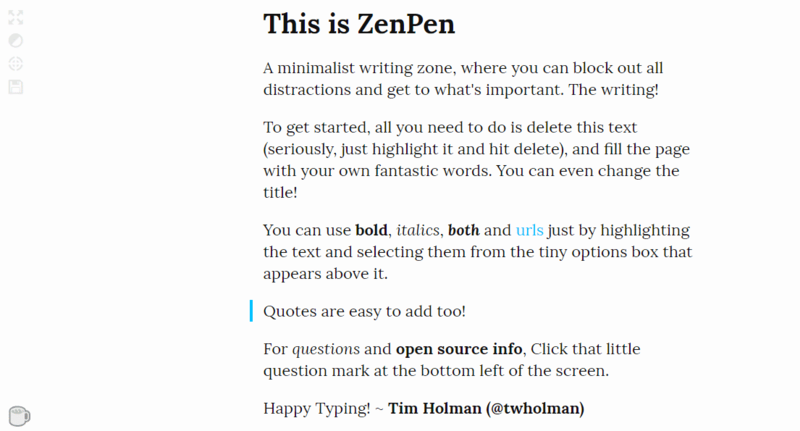 ZenPen is a cool and easy web-based writing tool with a simple design. To use it, Just go to the ZenPen website. Clean the starter text and start composing or pasting your own. Personally, I use this from time to time and I liked it. 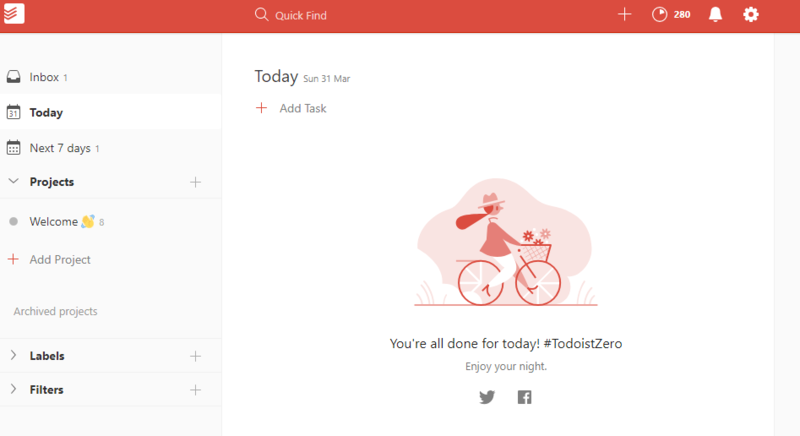 Todoist is a easy yet powerful to-do list application which can assit anyone get organized and achieve a peace-of-mind, no matter what device you use. From planning large scale projects to simply remembering to continue your articles writing , Todoist helps get things out of your head and into your to-do list. You can use it to keep up both with your personal tasks and your work tasks/projects. Trusted by millions of users and praised as a life-changing app by a number of big sites like The Guardian, USA Today, the New York Times, and more. If you need a multiplatform to-do application, this is one of my favorite. Siteground is huge. They’re one of the biggest hosting companies so they kind of know what they’re doing. I’ve personally used siteground for most websites I make, and I recommend it to friends all the time. If you would like to write notes, and think that your current tool distracts you from getting things focued , you might consider giving iA Writer a try . It's an affordable app, will run smoothly in your devises and help you in your daily tasks. Scrivener is the go-to app outliner authors and all kind writers ( bloggers , students, academics, journalists, and more. Scrivener provides a management system and everything you need to start writing and keep writing, which will allow you to organize your notes, research and whole documents for smooth access. Sometimes, It is difficult to keep track of where you were, what part of the chapter you were in. But having this tool will help you arrange each part of the article into multiple chapters/paragraphs. Do you struggle to get your writing to flow ? Did you feel uninspired before ? To boost improve productivity and creativity, it is not a harm to try Mind Mapping for your content writing efforts. Mind mapping is a practical technique for organisin/arranging your ideas to come up with a better idea mapping and outline for your articles and books. Now that you have loads of ideas, what do you do with them? The Brainstorm View option in this app has the needed tools to organise your thoughts. In clicks, iMindMap will switch from Fast Capture to Brainstorm View, switching your web of ideas into fancy sticky notes. 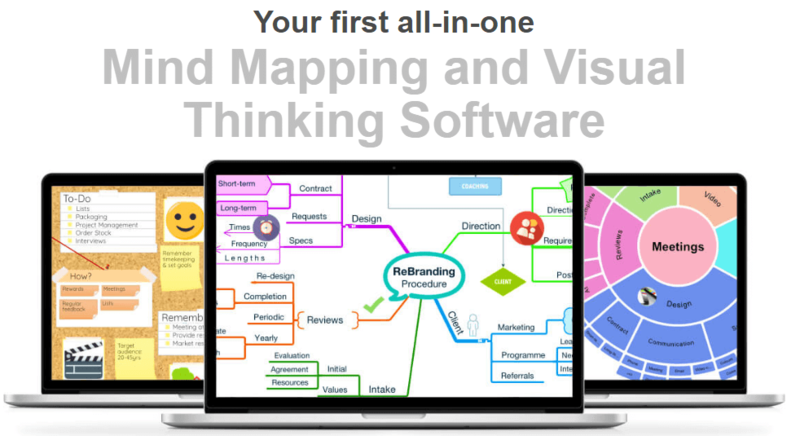 Mind Map helps you outline in details your article to seriously improve your productivity. The more deep plan articles you have, the easier it will be to write it. When running up against a deadline, Dragon Professional is one of the solutions. It is one of the leading speech recognition software used by students, bloggers, journalists and other professionals to convert speech into plain text. Put your voice to work to create reports, emails, forms and more . Dragon shows off improved speech recognition accuracy and save time over typing words into other applications like Word. New users may find it quite difficult to undertand the grips with the full range of available options. A geat an simple productive tool that replaces the new tab page with a personal dashboard containing your to-dos. 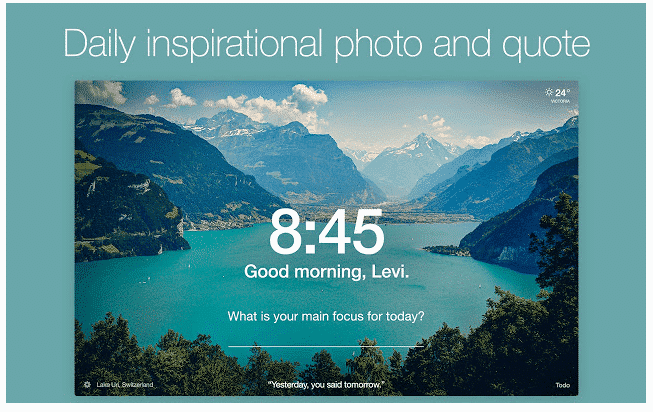 The new Tab page will give you a moment of calmness and helps you to be more focused and productive. Get inspired with a daily amazing photos and quotes. Just set a daily focus tast, and track it . Eliminate distractions and assist destroy procrastination with a reminder of your task for the day on each new tab. The modern world is very voracious and speedy. If you do not multitask , you will not survive. 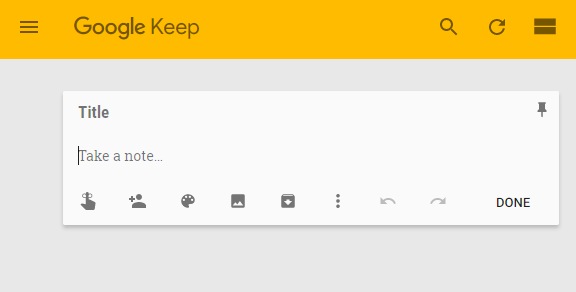 So, if you have to do several things and you do not have a good memory, I introduce you to Google Keep. Another app that will keep you organized. Catch inspiration and to-dos smoothly Collaborate on notes with colleagues and set for yourself reminders. Write what you want in app, keep notes, capture the voice or images. The notes can be synchronized using Google Drive, which allows to access them anywhere through the web and make modifications. Everything syncs across your devices, so what’s important is always in reach. I recommend this app, it seems very useful, easy to use, and above all, it is Free. WriteMonkey is all about eliminating distractions and focusing on your writing and text. This app cleans away the clutter and leave you with a super minimal interface to write. what is good also about this tool is that you can stick it on a USB drive and use in on whatever computer you happen to find yourself at. The interface is a cool-looking, yet deceptively powerful, distraction-free word processor, except “Word Count” and “Time”. WriteMonkey is very lightweight. While the editor is meant to run in full-screen, hitting Escape makes it switch to window mode, where you can use it along with your other applications. Instead of using distracting writing app, try WriteMonkey. This is one of the simplest text app for Window. Toggl is an online tracking tool for busy freelancers. It allows you to track the time spent on each project and analyze your daily productivity. Categorize the time in projects, you can use tags to filter them after in reporting, and give them descriptions to remind you what you were performing . After tracking once, just click the play button to start tracking new time. Toggl style and its functionality, the ease of use in making sure that every second of your freelance work gets tracked and reported so that you can get paid. 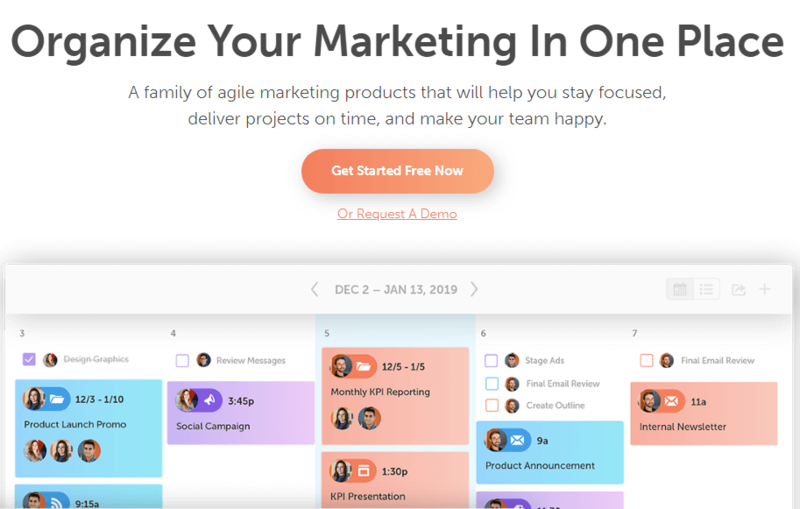 From one place, This editorial calendar app will help you plan your writing projects, promote, collaborate, and also execute on your marketing roadmap. With thier powerful integrations, you can sync many of your favorite project tools and social platforms direclty into one single app. It is simple drag and drop calendar that worth trying. 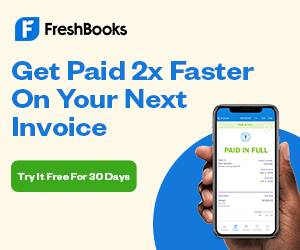 FreshBooks is an online invoicing and time tracking service, available on web and mobile app, that will help you manage clients, create one-time and recurring invoices, creates estimates, manages expenses and tracks project time (and billing). It accepts online payments and reminds clients for thier overdue invoices. It is an ideal app that service-based companies can use to keep their cash flowing.! Being cloud based, you can access it from anywhere. The invoices look professional, and you can send them thru different formats including PDF. If you are a small business or a freelancers that provide services online, this is a great way to view everything all in one spot. To conclude, all above applications provide freelance writers with the finest tools to create magic, and work in stress-free environments to boost productivity. These Apps for writers reduce the extra effort required to focus on nitty-gritties, and beat the clock consistently. As with anything, there are some cons that come along with all the above applications. 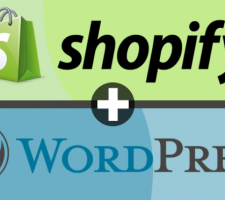 Affiliate Disclaimer: I hope you enjoyed these tools . Please note that very few links inside this may be affiliate links. That means that if you click on one of the links and sign up, I may be compensated for it. 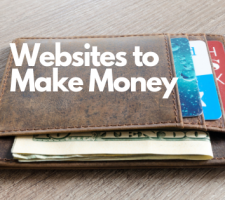 Any money we make keeps this site running and allows us to keep producing similar articles.